So....we did a thing. 15 year Anniversary Trip! So....Stan and I...we did a thing. We took our first "big" trip together just the two of us to celebrate our 15th Wedding Anniversary! ❤️ Sure we've done an overnight or two away from the boys but we were always nearby. This time we headed to Cheeca Resort in Islamorada, Florida Keys. We had some well needed alone time to "reconnect" 😉, eat, drink, sleep late, go fishing, lay by the pool, and laugh our asses off. I’m gonna share some pics of our trip and some of my outfits that I wore! Hope you enjoy! When we arrived and could see the ocean from the entrance door…we knew we had truly “ARRIVED”. You can scroll through a few pics of the resort. Our view from our lunch at Cheeca’s restaurant Atlantic’s Edge was an amazing start to our trip after a long day of travel. We literally could feel ourselves decompressing as we just sat and looked out. That pier I later did some fishing off of. Now can we talk about our room for a minute….I mean our own outdoor tub with an amazing view! 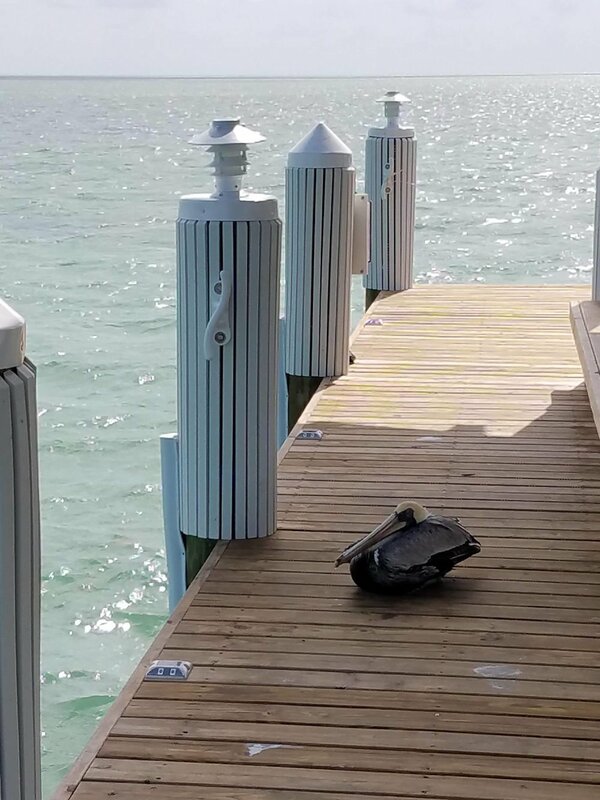 We had some awesome dinners and drinks, relaxed, went fishing with a hungry pelican waiting for my catch, and fed some tarpons! Now to share some of my favorite outfits of the trip!! Thank you all so much for taking the time to read about my trip and look through my pics! !